How to do at the time a full lace wig or lace front wig start to lose hair or it was damaged that tere appeared on the lace?but How can you do if their is not repair service from your seller and you want to wear the wig urgently? Today we teach you how to care for and repair your human hair lace wig! Let's start by Shampooing and let your full lace wig or lace front wig air dry. You can check where is the area that lost the most hair under light when the wig is dry. Mark out the bald spots that need to repair. Now you can begin to build up the thin bald spot areas loss hair or repair any ripped lace areas on wig cap! 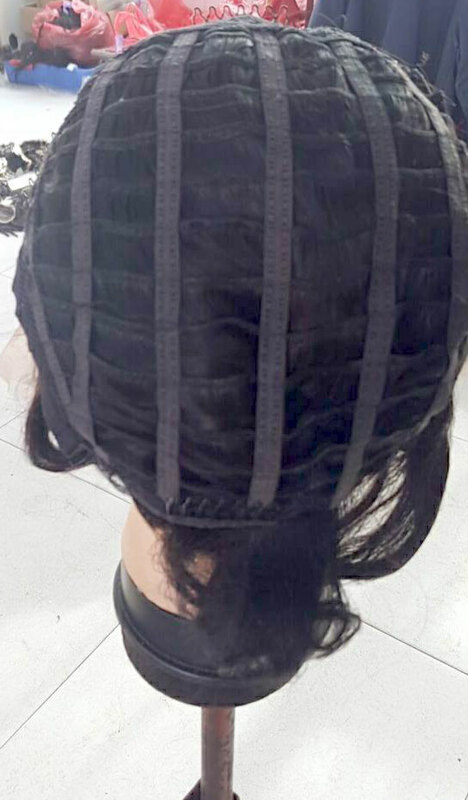 1.Turn Your full lace wig or lace front wig cap inside out, place on a mannequin head.Take a small needle and some nylon thread to repair the tare. If you've lost a lot of netting you will have to make a patch to fill in the area. 2.Now start filling in the thin areas in the front of the lace front wig.and fill any areas of your full lace wig.Using A Ventilation Needle and Holder, Use The Bulk Hair of like color follow the instruction link below to start adding the bulk hair one to no more than three strands of hair at a time. Making a Wig is just like making a Rug. 3. Pull the hair through in the direction that you want the hair to fall in when you finished.Now repeat this until you have the thicker density you desire! Yes this will take you some time but once you learned how to do it you'll get faster and faster! Don't forget to knot each strand after you pull it through! Your Lace Front Wig and full Lace Wig will look as good as new or even better than before! sometimes you need to style the texture when finished to repair the wig. We offer repair service if you buy wig from eclacewigs.com with low cost or repair for free if the wig was bought around one month ago. View previous：Are Full Lace Wig,Lace Front Wig,Top Closures the Best Choice for Hair Loss? View next：How To Care Curly Full Lace Wig & Lace Front Wig?